International and domestic road, rail and heavy haulage. Freight Forwarding and shipping agent McLintock International has long standing relationships with leading road and rail transport providers, offering fast door-to-door delivery and tailored overland transport and heavy haulage solutions to suit client requirements. We aim to provide the most reliable, cost effective and time efficient freight forwarding and delivery solutions for both international and domestic road, rail and heavy haulage. 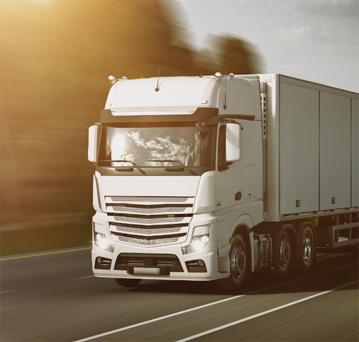 Road transport is suited to carrying perishable, fragile or time-sensitive freight and is often favoured by business for just-in-time stock management, smaller inventories and door-to-door delivery. Rail is suited to long-distance bulk carrying, especially the transport of coal, metal ores, grain and other bulk loads. More than 80 per cent of rail transport comprises bulk goods. As a specialist freight forwarding shipping agent, we can arrange the most cost effective transport, whether as part of a supply chain solution or standalone service. As well as freight forwarding, we also offer logistics solutions such as warehousing and storage, available Australia-wide and in many international destinations. Whether you require transport over road or rail or need a customised warehousing and logistics solution, choose a freight forwarding shipping agent with the experience and expertise to deliver door-to-door. Contact us today to find out more and to get a quote. Send an online enquiry or call us on 08 9336 3001.